Zia to fans: More pa More pa! The Team Dantes Christmas Party also became a birthday celebration of our little princess Zia. Goldilocks gave Zia a pink cake, and we got to sing to her a Happy Birthday. “Are you guys ready to sing for me?” She asked. Fans sing Happy Birthday to her, and Zia told them “More pa! More pa!” So fans continued to sing happy birthday to her. Then she got another request she told fans to sing louder. “Lounder!” She said. Then after we sang to her she said, “I love you all!” And then asked us, “Are you guys ready to eat?” She’s so smart and sweet. Once again, Marian Rivera is awarded for her breastfeeding advocacy. 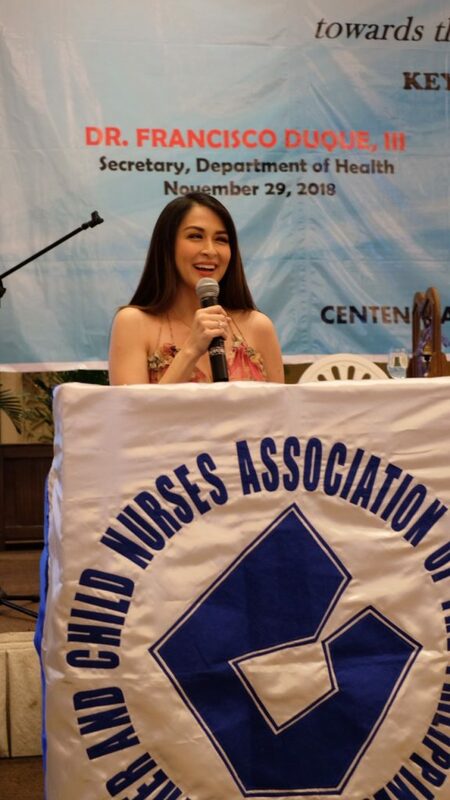 The actress was given recognition by the Mother and Child Nurses Association of the Philippines (MCNAP) for contributing as a Celebrity Breastfeeding Influencer. “Me and my husband are ready for my second baby next year. I am with you in this cause and I will not stop supporting and spread the importance of breastfeeding,” Marian said. Zia’s first haircut has been a social media’s topic. Dingdong Dantes and Marian Rivera daughter’s complete first haircut video exploded on social media yesterday. Marian’s family believe in a superstition, that is why the actor is the one who cut Zia’s hair first so that Zia will inherit her father’s intelligence.